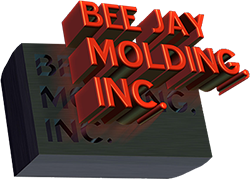 Bee Jay Molding is a full-service thermoplastic injection molding facility, providing you with precision-made components. Get short- to long-run and low- to high-volume production through our company. Our 15,000-square-foot production facility has highly skilled operators and supervision to oversee each project with attention to detail. Our injection molding equipment ranges from 55 to 500 tons of clamping pressure for unsurpassed quality. 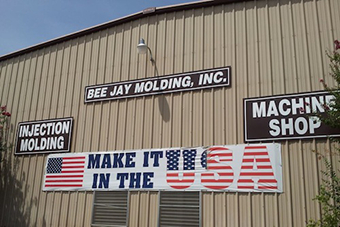 Bee Jay Molding's production molding facility offers several industry-leading post-production processes, such as ultrasonic welding and value-added assembly. Expect unparalleled rapid turnaround times using Bee Jay Molding's recommended or customer-specified materials. Your completed products are typically delivered within one to two weeks. Our rapid injection process helps you get your products to market ahead of your competition. Whether you need 50 pieces or 50,000 pieces, you'll discover that Bee Jay Molding's closed-loop manufacturing processes aggressively promise the most timely and competitive path to your marketplace. Trust Bee Jay Molding for your next project, or bring in existing projects that we can start working on today.